← My Spinning Wheel Stay Fixed! 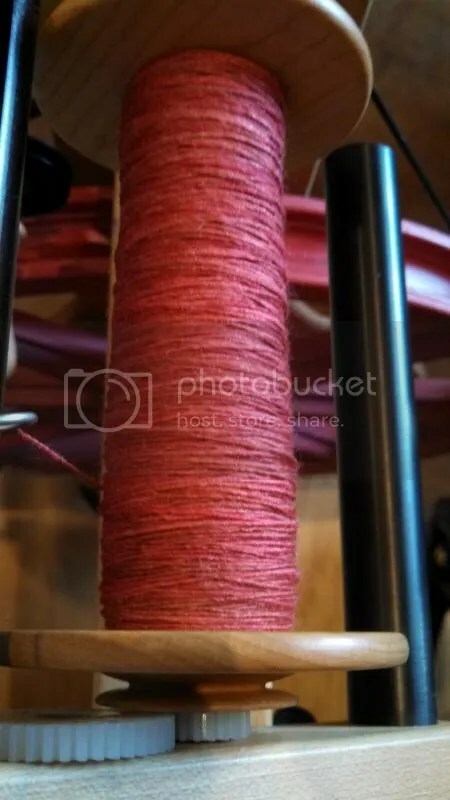 So I thought I’d post some photos of some recent spinning that I’ve done. Cuz I no jass sit around da hale doing nuttin’, ya know. So dis first one is called “Park Lane” by Snerb Fibers. It’s Blue-Faced Leicester, and I spun four ounces into a two-ply yarn. I have about 425 yards of it; don’t know what I’ll knit with it yet, though. Interesting colorway all spun up. I will knit a swatch with this before deciding on a project. I set it in a branch of my blooming Redbud Tree for the photo. 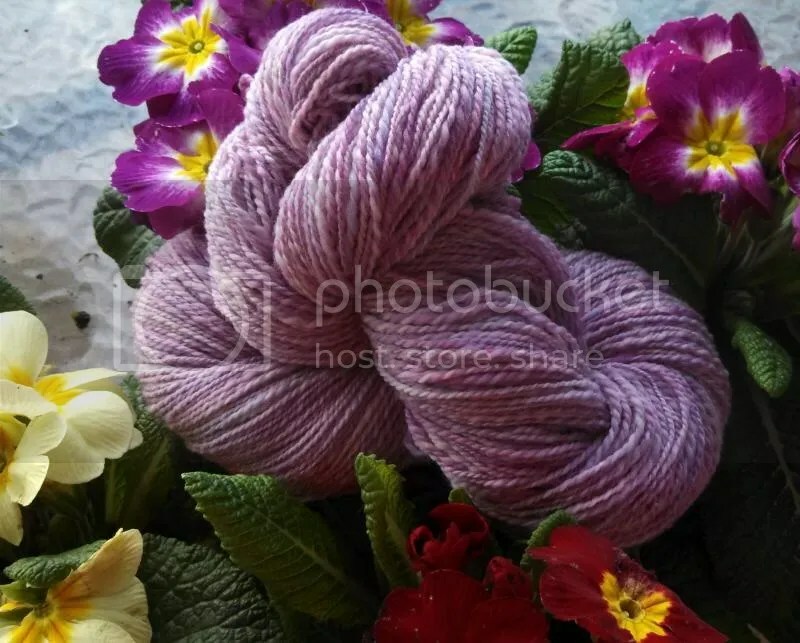 Next up is NewHue Handspuns “Sun Beams” (betcha can’t guess which skein it is, right? LOL.) Another two-ply out of Merino and Bamboo. Underneath that is Rambouillet (yeah, that’s the breed of sheep… Ramboolay). 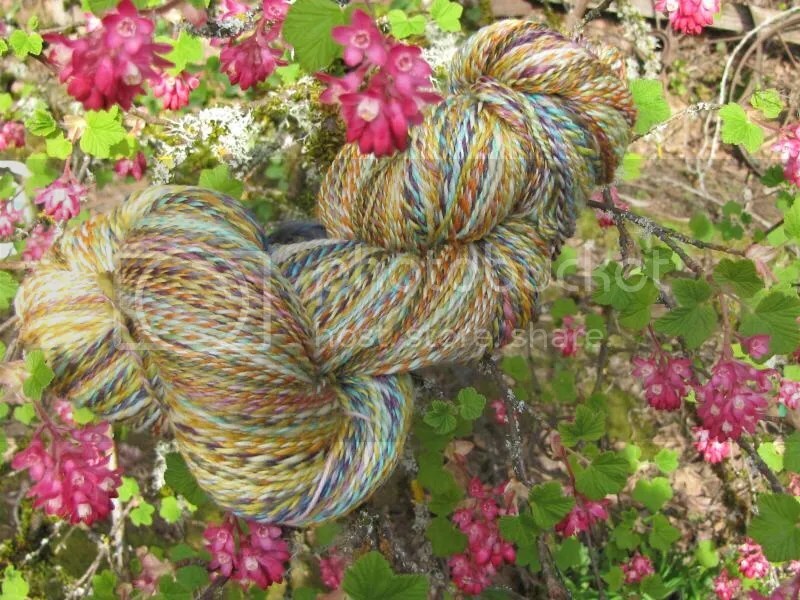 The colorway is called “Meltdown” by StitchJones. I loved spinning this! 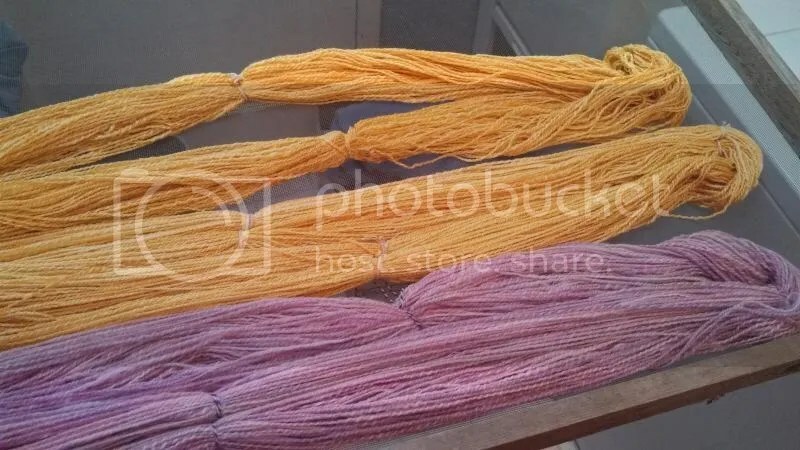 First time I ever spun Rambouillet and I liked it. They’re both drying on the rack my father-in-law built for me. Here’s a close-up of “Sun Beams” before I washed it. And here’s another photo of “Meltdown” before I washed it. I love how it looks with the primroses. And this is what I’m spinning now. 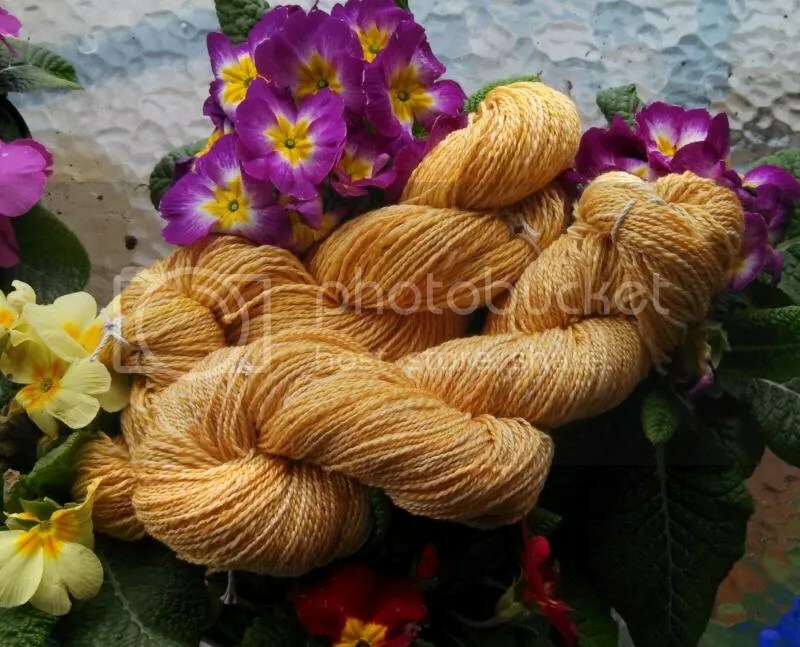 Polwarth/Silk from Raven Ridge Fiber in “Indian Paintbrush”. This is gorgeous stuff and it spins like a dream. 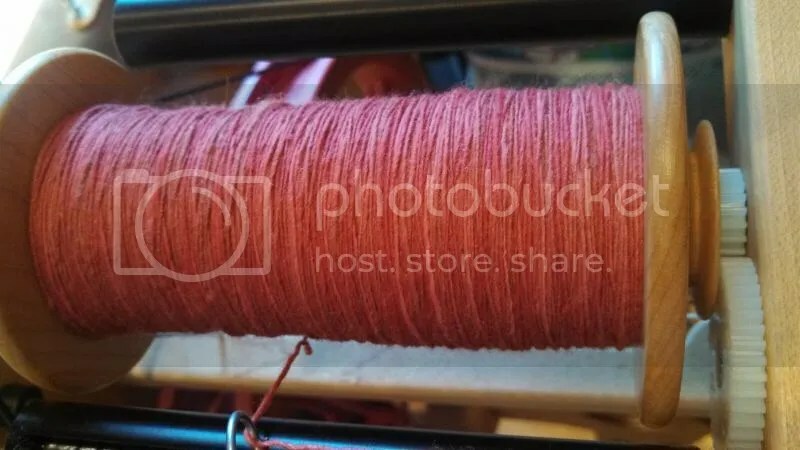 I have eight ounces of it and though the colors don’t change much, it’s really fun spinning a tonal colorway. Gorgeous colorway, I tell ya! Beeewwtiful colors…love love love them all…cant wait to see the finished products ! !